Whether our customers own a Coachmen, Winnebago or a classic Airstream motor-home, they want to protect their investments when not on the road. They need an RV garage that matches the quality of the motor-home that they bought. 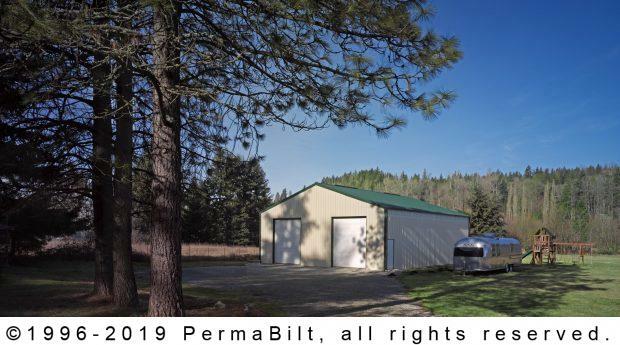 That’s why many of our customers come to us like our Renton Washington customer in wanting to build a steel garage with storage space for his Airstream. Once design and financing were approved we moved forward with permitting. The county needed additional information regarding some existing structures on the property. Our permit team contacted the customer for the additional information, provided it to the county and shortly after the permit was issued. The PermaBilt® construction crew was ready to go and began construction soon after permit approval and site preparation was complete. The building was erected in the dead of winter by our company employed and trained crew. The building is a bit slower in the winter, but our Company-employed crews work 12 months a year. Once complete, our Renton customer couldn’t have been happier in bringing his motorhome inside his new garage. “The crew were excellent craftsmen – professional and courteous. The office staff communication was good."